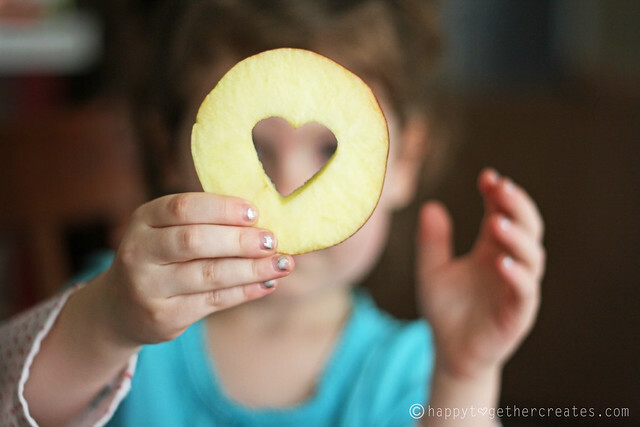 I love really easy and fun snacks to make for me and my family. When I saw this recipe, I knew I had to give it a try. 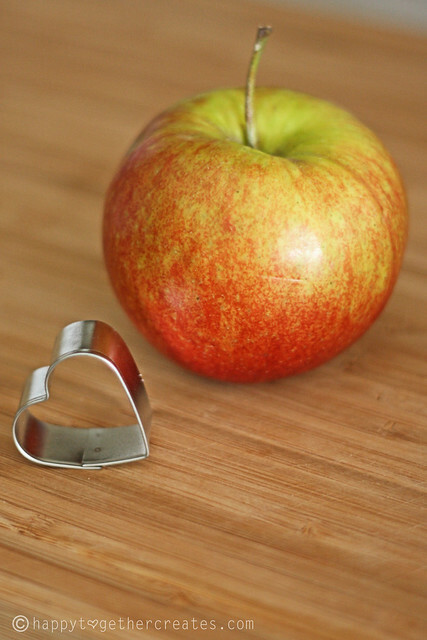 So I grabbed an apple and a very small heart cookie cutter. 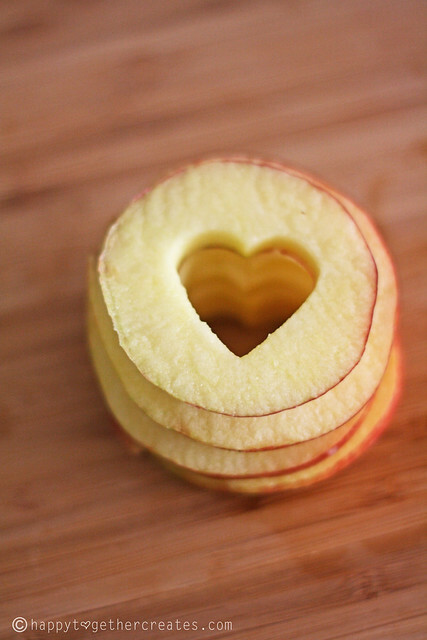 Then I sliced the apple up. And cut out the middle with the cookie cutter. 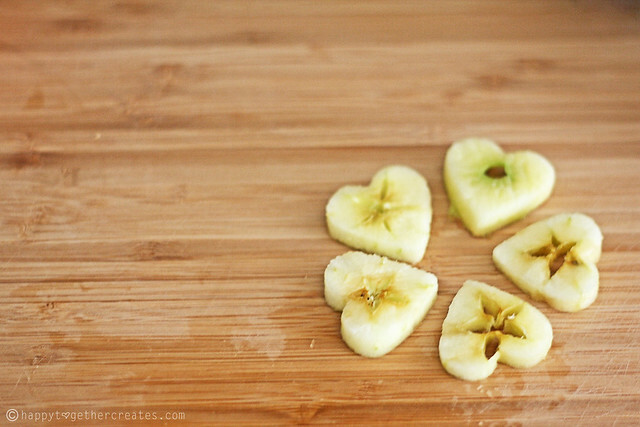 I thought the little hearts were so cute! Then I put all the ingredients together for my daughter to put together. Then she got to making. Yum. Yum. 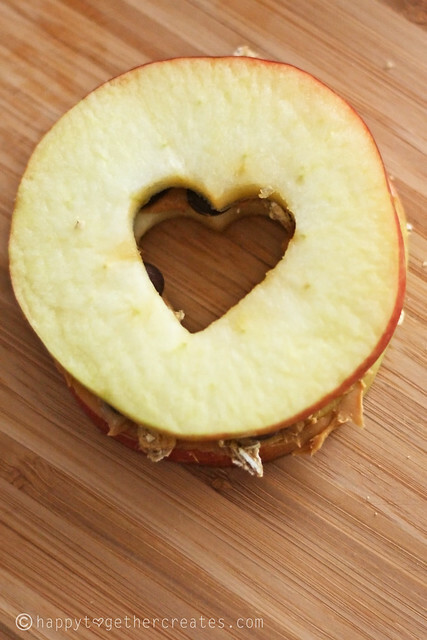 Peanut butter and apples. 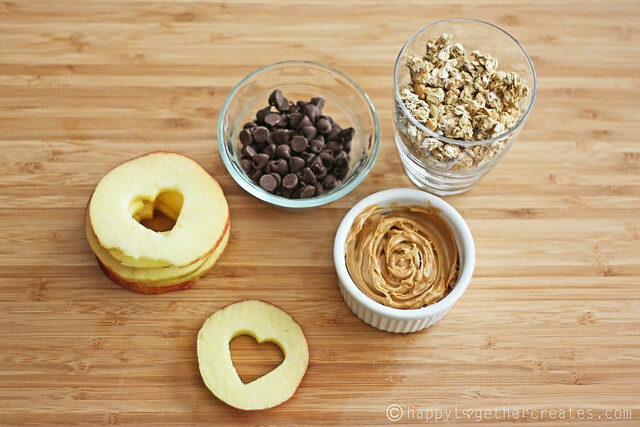 With a little bit of granola and chocolate chips. We all had one and I thought they were pretty good. My hubby thinks the chocolate added an odd mix of taste, but you could do a lot with this concept to get it how you would like it. And my daughter ate it, so it’s a winner in my book. That’s a really fun idea! 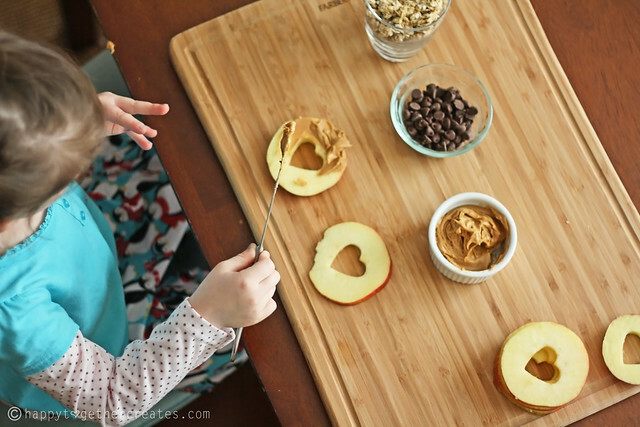 I might have to use caramel in lieu of PB (my little on is allergic). It won’t be as nutritious, but it would still be fun to do! that looks so yummy!!! what a great idea!!! Yummy AND cute! I’ve done PB&J sandwiches before with a teddy bear cookie cutter for a teddybear’s picnic. Kids get such a kick out of something a little different – don’t they? I love this! 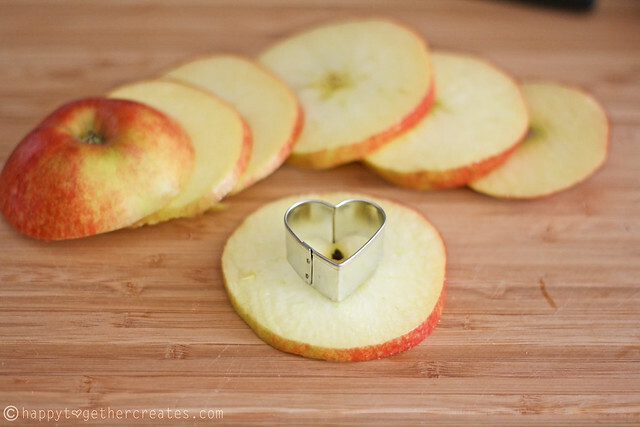 I am going to buy some little heart cookie cutters so I can make this too!!! Thanks for sharing. So cute for sure! 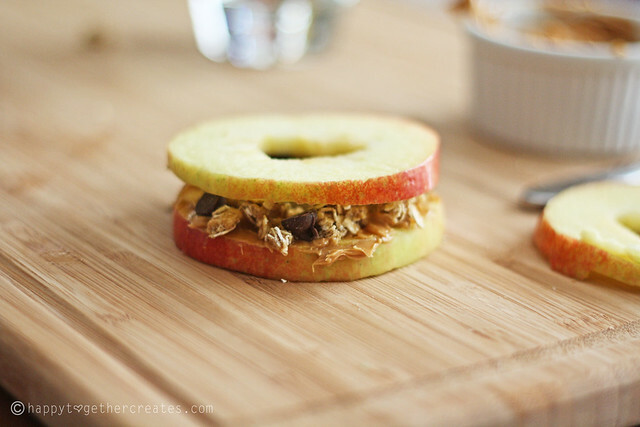 My daughter has been obsessed with dipping cut up apples in peanut butter lately so I know she would love these. Especially if I used a star shaped cookie cutter. Super Cute! Gonna try this with my four year old! 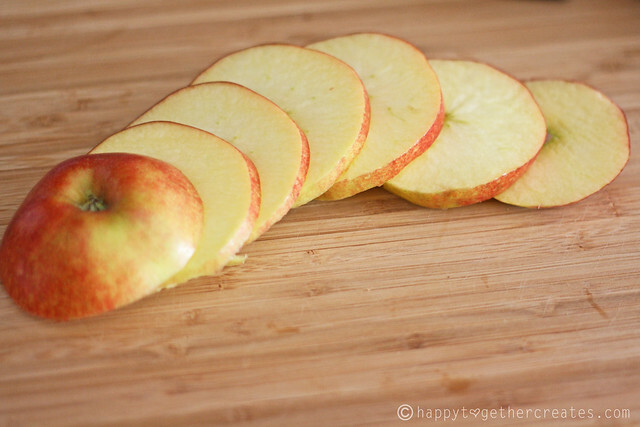 when you slice them, put them into some watered down apple juice for a few minutes. Works better than lemon juice and you only have the taste of apples, not tart lemon juice. Thanks for suggesting apple juice. I love that idea. 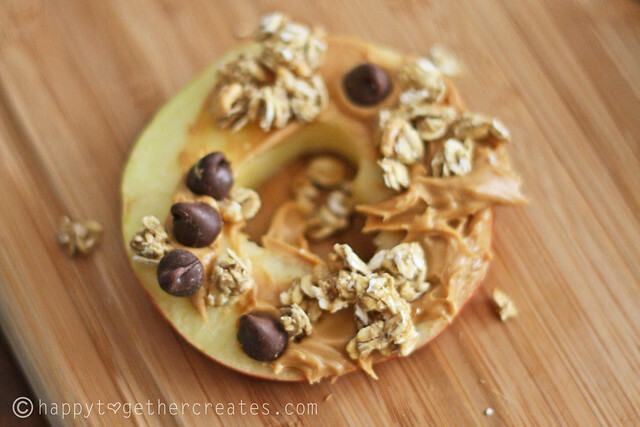 I’m going to do this with my preschoolers for snack!!! Great Idea! So easy and cute. I have started “cooking” with my little one and this was a hit. Hope you don’t mind but I mentioned your idea on my blog. I love this idea! 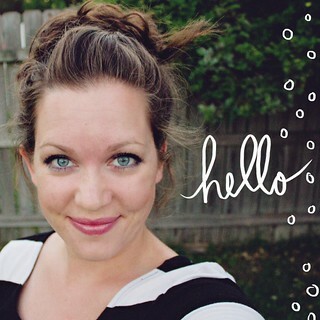 Will be sharing on my blog with a link to your site.